Ford’s Closed Sale with BCA has scored five 100% conversions since the turn of the year, with the most recent sale at BCA Bedford selling 196 out of 196 cars for a sales value of £1.95 million. Once again, the sale attracted a large turnout of 65 registered buyers to BCA Bedford, with a further 60 buyers participating via BCA Live Online. BCA’s internet bidding facility has seen Ford buyer numbers increase significantly this year, with more than twice as many bidders logging on compared to a year ago. All Ford models across the board have been in high demand, with buyers competing strongly for Focus, Mondeo, Galaxy, S-MAX, Fiesta and Fusion, with demand strong from both the Ford franchise dealer network and approved buyers. 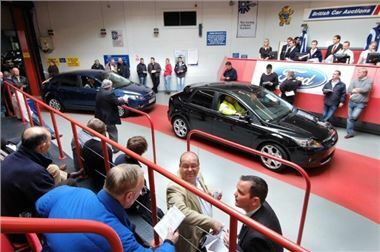 Ford’s 2009 programme with BCA features monthly sales at Nottingham (including LCV’s), with car sales at the Peterborough and Bedford centres.